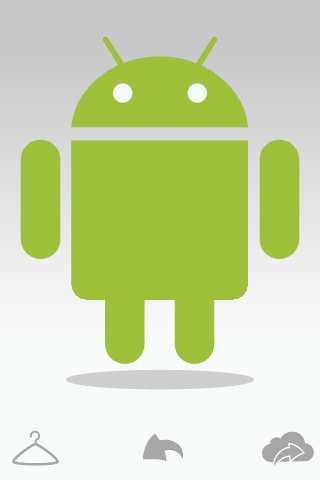 Android wouldn’t be Android if it weren’t for its adorable green robot mascot. The same yet catchy design has quickly become one of the most recognizable brands in the world. Virtually every Android site has its own creative reproduction of the Android robot, including our very own AndroidPIT website. Google has decided to give Android lovers a helping hand with Androidify – an app that lets you create your own fully customized Android figure. 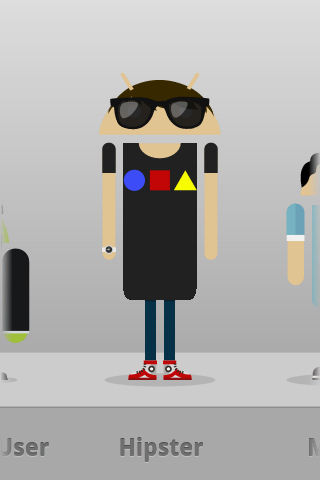 Androidify is sort of like playing Barbie (or Mr. Potato) with your lovable Android robot. Starting off with the standard green robot, you can make the figure look like virtually anyone. Just by using your fingers and your phones multitouch, you can adjust the size and proportions of your green model. Make him or her skinny or fat, with a big head or tiny arms – there’s room for a lot of creativity here. With so many different options, you can create virtually anyone. The best thing to do is to try and challenge yourself to create recognizable characters. 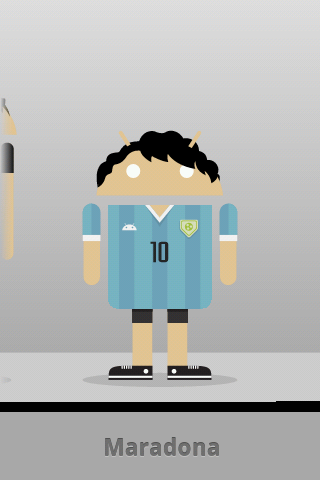 I had a lot of fun trying to create Android representations of a Blackberry user, Maradona and a stereotypical Williamsburg hipster (check out my amateur work in the screenshots). Please feel free to give your hand at this app and post your masterpieces to a special thread I opened in the AndroidPIT Forum! The app is simple, but extremely entertaining. There are a lot of different options available, which gives you an almost infinite number of possible combinations. Nevertheless, it would be nice to see new additions to the app on a regular basis. Allowing users to upload their own accessories to the app is a much-needed option that would add even more charm to Androidify. The controls are extremely intuitive. 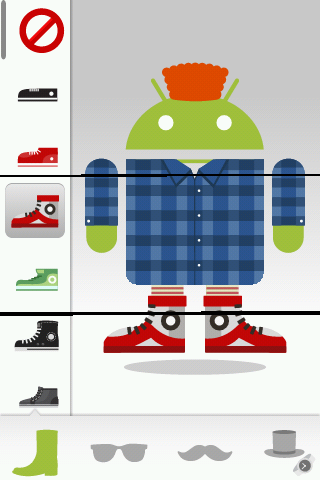 Just drag your finger across the Android guy to stretch, morph or shrink its head, arms, body and legs. All the accessories and clothes are logically categorized and can be easily accessed by scrolling through the list. In terms of design, it’s difficult not to notice Google’s standard minimalistic and professional touch when looking at Androidify. A truly beautiful app! No issues with speed. The 3D graphics performed smoothly during the test. 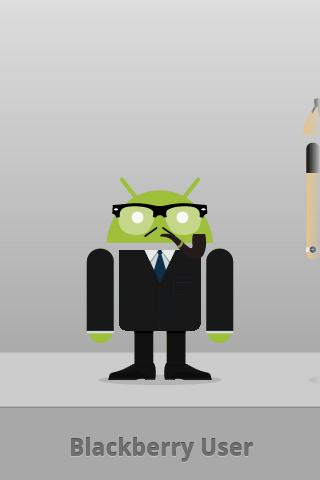 May not work as well on older devices but, generally speaking, Androidify is simple enough to run on most Android phones. 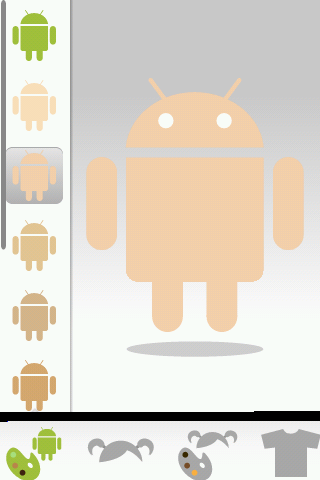 Androidify is available for free from the AndroidPIT App Center. I want to create a robot. A tiny robot. I want to play with a small robot. Now it can!